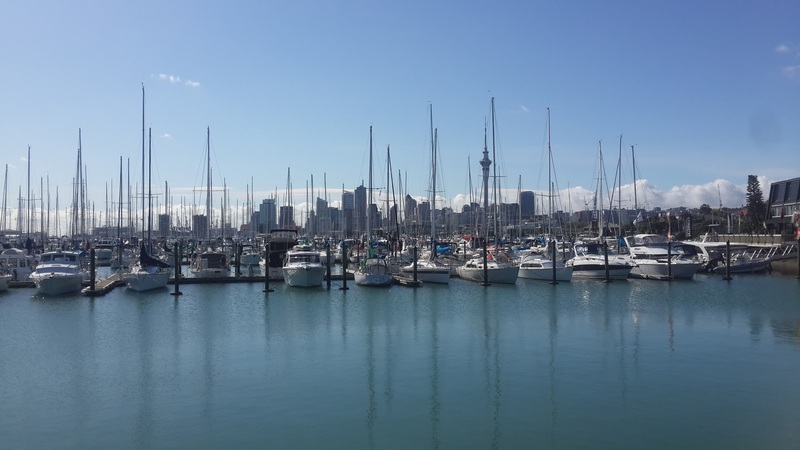 Auckland, New Zealand’s most populous city, is most likely the first place to visit if you are travelling the country. It has a lot to offer with many beautiful areas and should be given some time to explore. You can fly into Auckland International Airport from virtually anywhere in the world with most airlines. The most common are usually Air New Zealand, Jetstar and Emirates. From the airport you can take a Skybus to the city for $20. Most of the hostels are situated in Queen Street in the city. This is possibly one of the worst streets in Auckland as it is often filled with an assortment of homeless and drunk people. This can often leave people with a bad impression of Auckland if they don’t venture out to other areas. 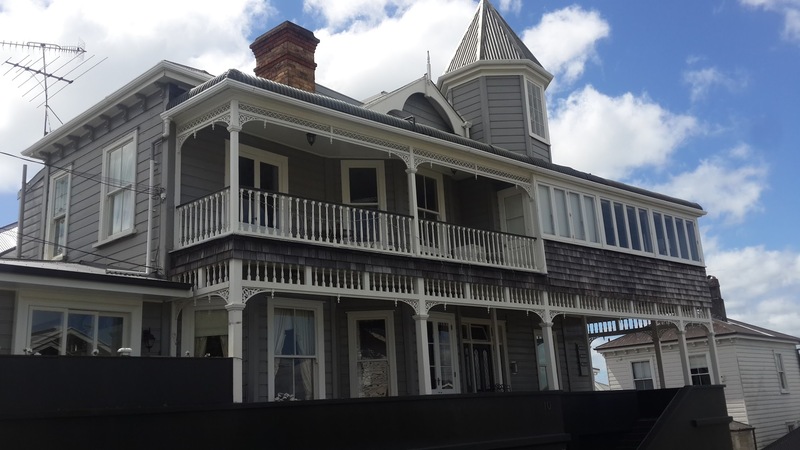 I would recommend airbnb or couch surfing in some of the nicer areas surrounding town such as Parnell (the oldest suburb in Auckland), Ponsonby (the hipster student area) or Mission Bay (gorgeous beach suburb). However if you do want to stay in town, Base and Nomads hostels are the biggest. Base has pretty decent facilities like a gym, big kitchen and a job seeking centre for those on a working holiday visa. 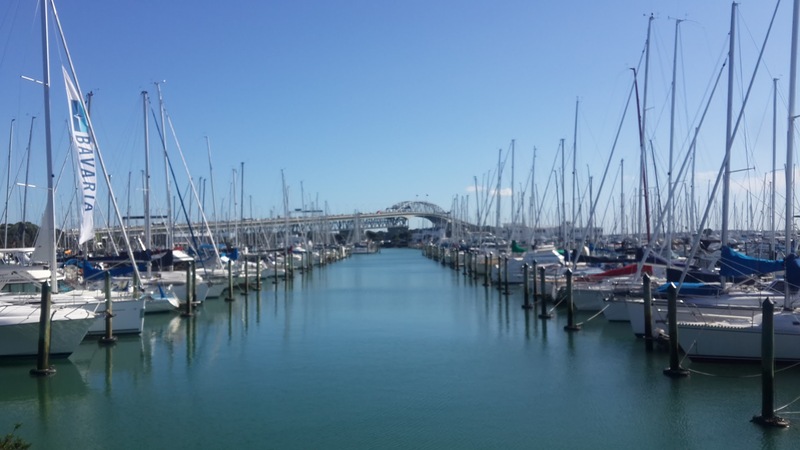 I stayed in Beach Haven, on the north shores of Auckland. This is a beautiful area to live as there are constant harbour views and virtually every property is on the waterfront. This is one of locals’s favourite things to do. Take a 35min ferry across and spend the day hopping between wineries and indulging in great food. There is also an awesome village on the island with shops, bars and restaurants. The latest ferry comes back around 11pm to Auckland. There are many companies which run winery tours and I would recommend Fullers Taste tour. Here you visit three stunning wineries and an olive oil farm and indulge in a delicious lunch and countless tastings. Some of the nicest wineries are Stoneyridge, Wild on Waiheke and Mudbrick which have stunning views over to Auckland. 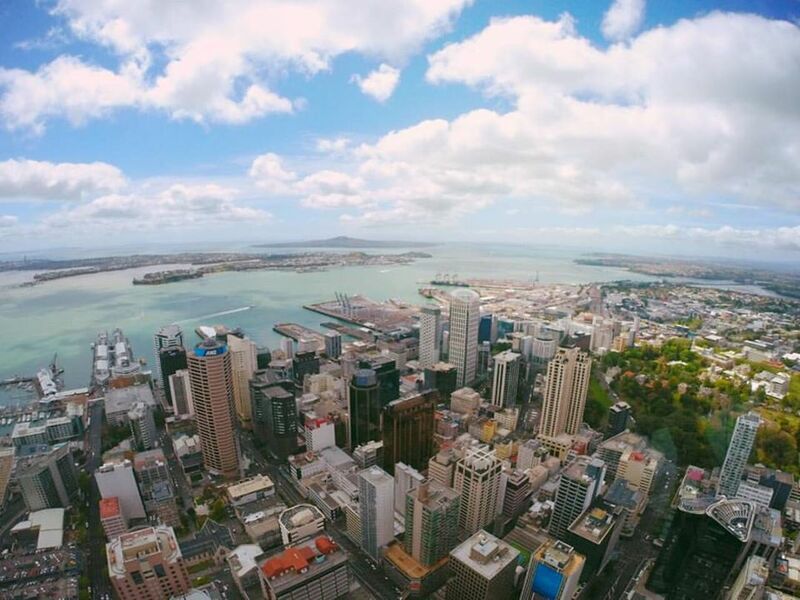 One of the most iconic buildings in Auckland, the Sky tower has the best view you will find. It is $28 entry however if you collect a ‘Free Official Guide Auckland’ at the airport they have vouchers giving you $3 off the price. If you’re brave you can do the Sky Jump and bungy off the top. Otherwise, you can do the Sky Walk around the edge of the top of the tower whilst strapped into a harness for $145. Westhaven marina is an up and coming area with a great yacht club. There is a floating promenade you can take which winds its way to Wynyard Quarter and then on to the city. This is a beautiful waterfront area with restaurants scattered by the water. 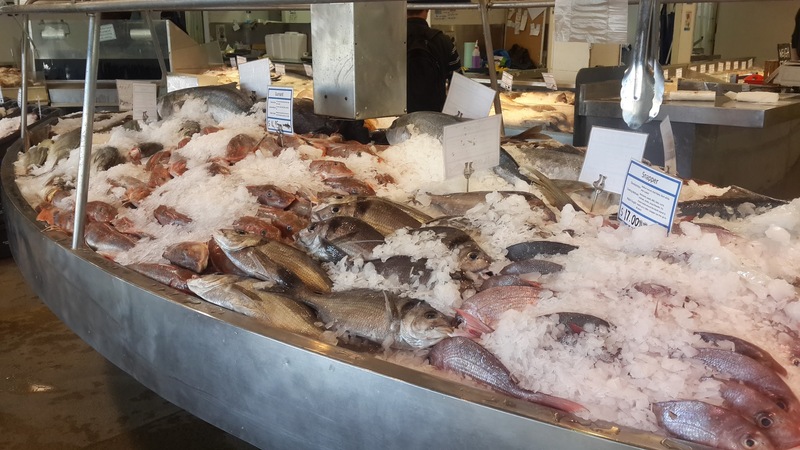 If you enjoy cooking, there is an incredible Fish Market with every kind of fresh seafood imaginable at a cheap price. There is also some decent street art! These are tiny little streets in the city centre that boast many great shops and boutiques if you feel like spoiling yourself. This is a spot on the other side of Auckland where you can look back and admire the beautiful skyline from across the water. 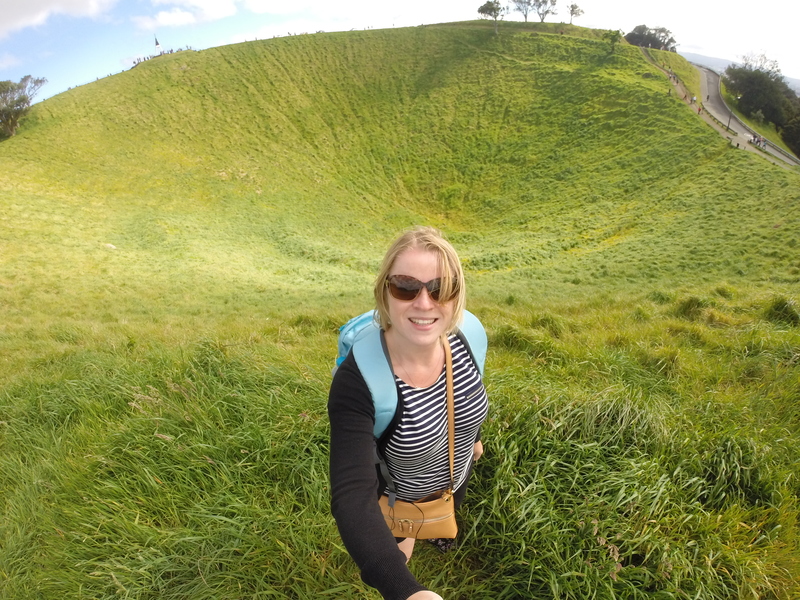 This is an old crater covered in lush green grass 2.5km from the city. 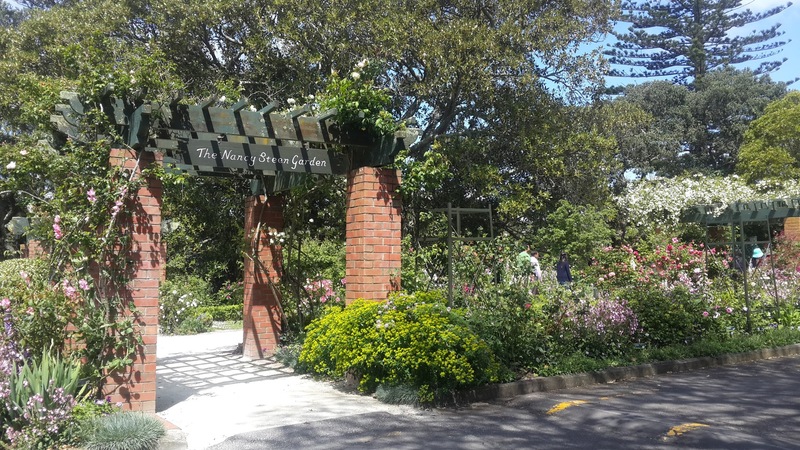 You can walk around its surrounding gardens and if you climb the top you will be mesmerised by the 360 degree view of Auckland. To get there, take the ‘Outer link’ yellow buses from Queen Street in the city and get off at Stop 8513 at 415 Mount Eden Road. 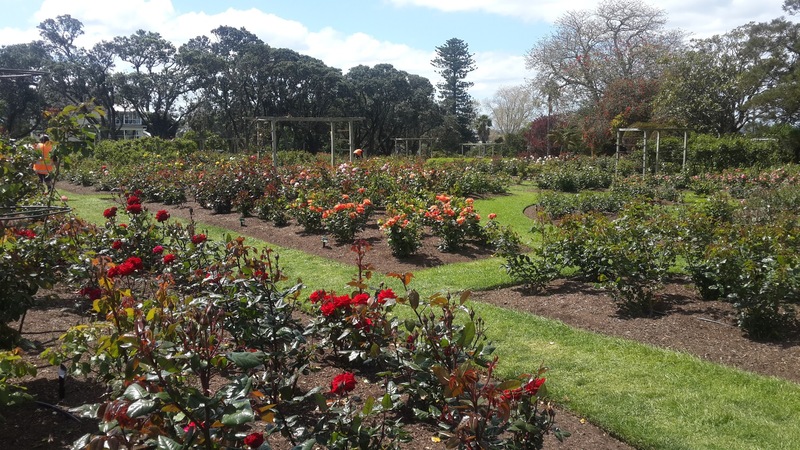 Parnell is the oldest suburb in Auckland and has a beautiful church, market and rose garden to wander through. For those arty types, the main street is full of art galleries as well as boutiques and cafes. As you wonder through the hilly streets you will be graced by gorgeous old town houses. Along the north shore are many beautiful beaches scattered along which are popular with locals when the sun comes out. Takapuna beach has several trendy waterfront cafes and restaurants and from here you can see a beautiful view of Rangitoto island across the water. 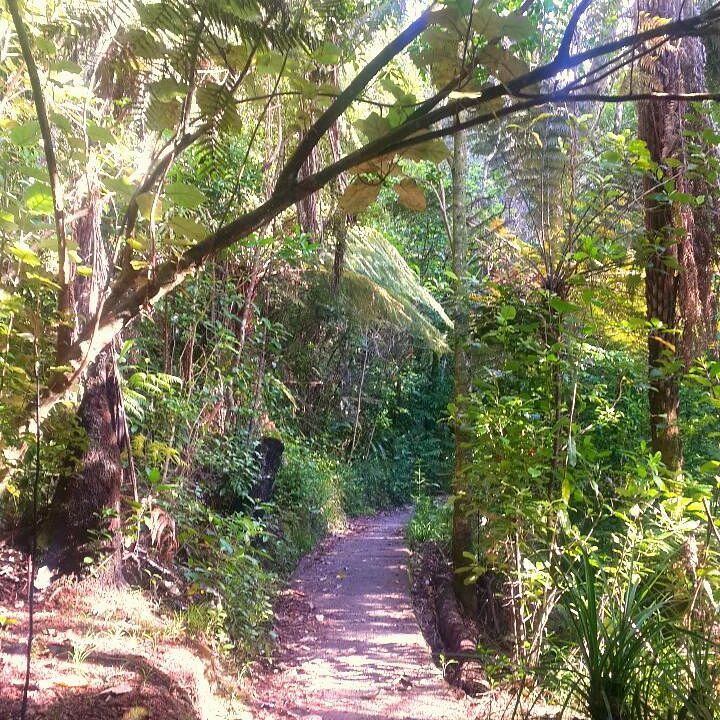 Also, if you enjoy hidden gems and beaches, the Retreat walk in Beach Haven leads through a rainforest to a tiny hidden beach at Island Bay where people usually have bonfires. This is a beautiful upmarket beachfront suburb and is the closest one to town. It is always packed with locals enjoying the beach and countless cafes and bars on the waterfront. There is a walking track which goes for about 10km from Mission Beach along the coast through various other suburbs. Along the way there are great bays and lookout points. If you’re on a budget, it’s safest to stay at the hostel bars at either Nomads or Base. They have cheap prices and attract a surprising amount of locals. For an afternoon drink in the sun, Base has a beautiful balcony bar which often has live music, cocktails and $6 burgers. The viaduct has some gorgeous (but expensive) bars along the water, and if you want a bit of a dance head to Danny Doolans the Irish pub. There is live music every night and it’s always busy. If you want something a little less mainstream, head to Ponsonby area and check out the bars there. People may underestimate the amount of things to do in Auckland and you can easily fill 5 days. Keep in mind people usually arrive or leave here as their first or last stop so you might need a day or two of relaxing or getting over jet lag. This entry was posted in New Zealand, North Island and tagged auckland, bungy jump, harbour, kiwi experience, new zealand, sky tower. Bookmark the permalink.